This is a great location for early spring wildflower spotting. You can also enjoy green grass, oak woodland, and gentle riverfront trails along this 12-mile network near Coloma. At the northeast corner of Pleasant Valley Road and Newtown Road is a meadow that turns into a large, yellow blanket of wildflowers for a few weeks every spring. This approximately three-mile loop around Marshall Gold State Discovery Park boasts amazing wildflowers and passes near historic monuments and the South Fork of the American River. If you’re willing to work to see amazing California poppies, Mt. Murphy, in Coloma, is worth the sweat. Climb up Mt. Murphy Road to Dutch Creek Falls trailhead, where you’ll see multiple waterfalls and beautiful wildflowers. Located a few miles south of Coloma, this approximately two-mile roundtrip trail provides views of beautiful poppies blanketing the hillside above you. 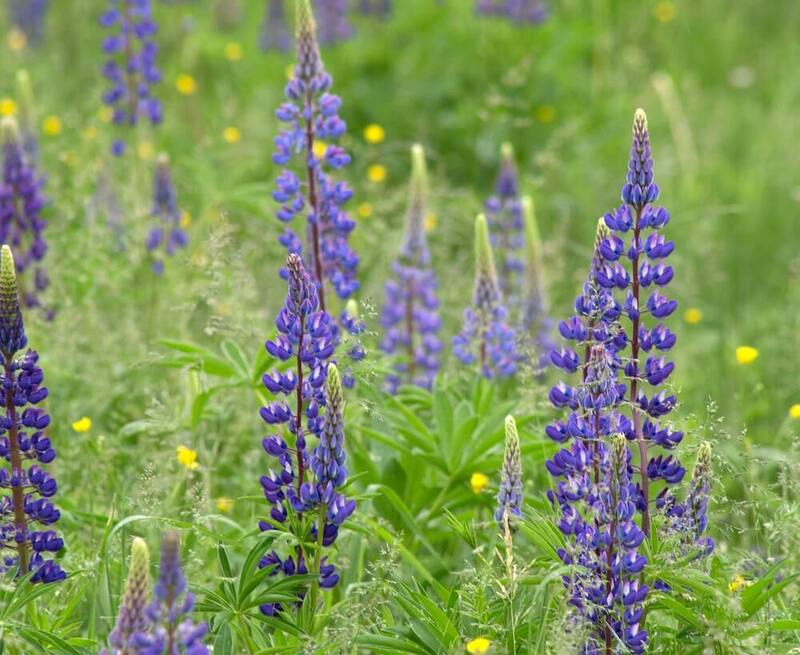 Wildflowers bloom all around Fallen Leaf Lake but head to the northeast side to explore lupine-filled meadows that also boast majestic views of Mt. Tallac. For later season wildflower viewing, Lyons Creek and the neighboring Desolation Wilderness offer miles of trail opportunities for alpine flowers like lupine, Indian paintbrush, mules ears, and more. Discover other spring activities in El Dorado County.